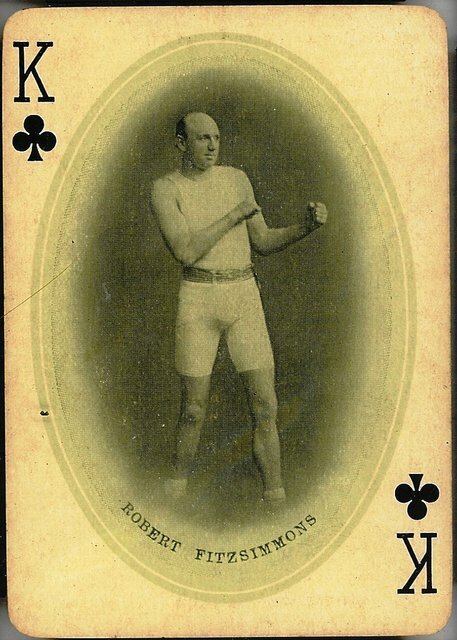 1909 Jeffries Championship Souvenir Playing Cards Bob Fitzsimmons. The W.P. Jeffries Co. created a really nice set of playing cards depicting boxers and boxing matches from the past. The card back shows Jeffries, fat and happy in a bowler hat.